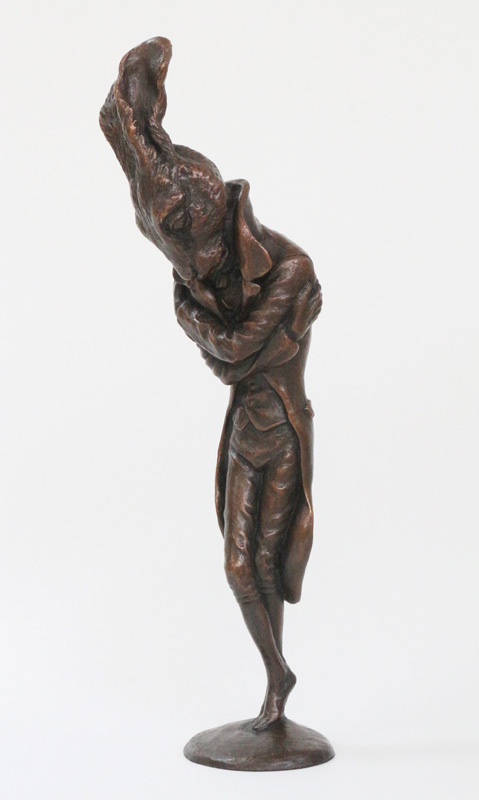 Beau (the Boulevardier of Broken Dreams), limited edition bronze, is now available. 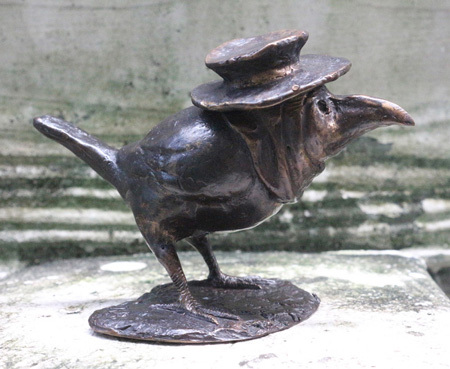 I’m currently offering free shipping on all bronze pieces: Beau, The Sleep of Monsters, and A Raven for a Writing Desk. 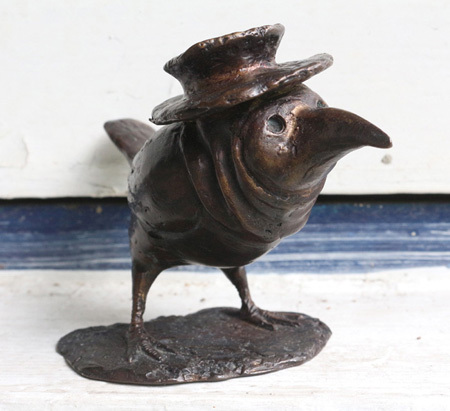 I’ve put up a couple of Plague Doctor Bird seconds at a discount. 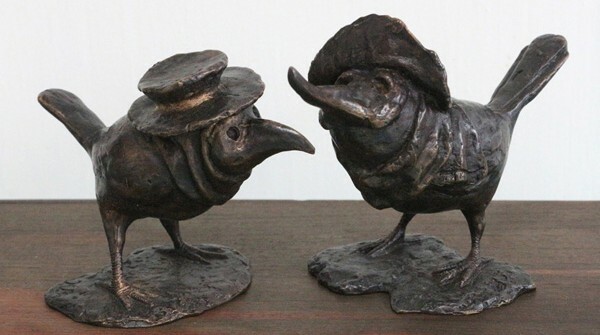 Bienvenue à Beau! He’s exquisite; every detail is absorbing and convincing, from the wrinkles around his shoulderblades and grasping hands, to the slight upward flip of his coattails. He’s so melancholy from every angle.